U.S. stock futures turn higher Friday amid moves by Donald Trump to slap tariffs on up to $60 billion worth of China-made goods; Nike sales climb; Dropbox IPO prices at $21 a share. U.S. stock futures turned higher on Friday, March 23, amid Donald Trump's move to slap tariffs on up to $60 billion worth of China-made goods and a reciprocal move from the world's second-largest economy to target imports from the United States. Contracts tied to the Dow Jones Industrial Average rose 36 points, while those linked to the S&P 500 rose 5.75 points. The first definitive steps toward a global trade war hammered stocks in Asia, pulling Japan's Nikkei 225 down 4.5% and to a five-month low, after Trump suggested his tariffs were the "first of many" and China declared that it was "not afraid" of going head-to-head with the U.S. European stocks also traded sharply lower. "China doesn't hope to be in a trade war, but is not afraid of engaging in one," the China Commerce Ministry said in a statement. "China hopes the United States will pull back from the brink, make prudent decisions, and avoid dragging bilateral trade relations to a dangerous place." Stocks in the U.S. plunged Thursday, March 22, following Trump's announcement that he was launching a trade action against China. The Dow Jones Industrial Average finished down 724 points, or 2.93%, to 23,957. It was the worst loss for the index since Feb. 8. The S&P 500 dropped 2.51% and the Nasdaq tumbled 2.43%. The U.S. economic calendar on Friday includes Durable Goods Orders for February at 8:30 a.m. ET, and New Home Sales for February at 10 a.m. Following the Federal Reserve's decision to hike rates by a quarter-point on Wednesday, March 21, Fed Bank Presidents Raphael Bostic, Neel Kashkari and Robert Kaplan have speaking engagements scheduled throughout the day. Nike Inc. (NKE - Get Report) jumped 4.9% in premarket trading on Friday after its fiscal third-quarter sales and adjusted earnings topped Wall Street forecasts. The sneaker and apparel giant posted a quarterly loss of 57 cents a share but that included charges from the new U.S. tax law that reduced earnings by $1.25 a share. Adjusted earnings in the quarter were 68 cents a share, 15 cents above forecasts. 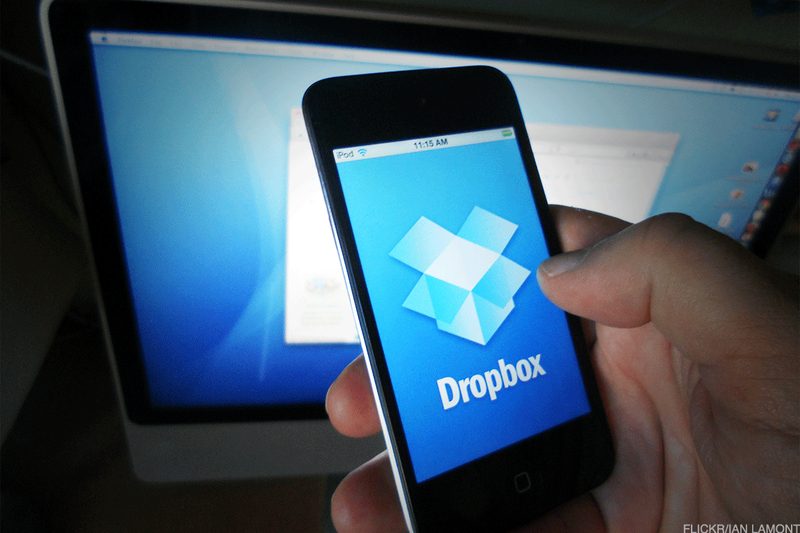 Shares of Dropbox were priced at $21 each on Thursday, above the projected range of $18 to $20. The pricing suggested there was strong demand for the cloud data storage company, even after Thursday's especially rocky day on Wall Street for tech companies. Dropbox raised its projected IPO pricing range to $18 to $20 a share earlier this week from $14 to $16. The pricing gave Dropbox a valuation of more than $8 billion, but below its last round of private financing, Bloomberg reported. The stock will begin trading on Friday under the ticker (DBX . Shares of Micron Technology Inc. (MU - Get Report) fell 1.6% in premarket trading despite the chipmaker reporting fiscal second-quarter earnings above forecasts and saying it expects third-quarter sales and profit above consensus estimates. Micron shares have risen about 50% since early February, and so it appeared the stock was down because of profit-taking. TheStreet's Eric Jhonsa wrote that Micron's earnings and comments from its conference call make the optimism that has propelled shares higher look pretty justified, particularly for Micron's core DRAM business. More regulation may finally be coming for U.S. tech giants such as Action Alerts Plus holding Facebook Inc. (FB - Get Report) , and if it does it could come at a steep cost, according to TheStreet's Francesca Fontana. The social media giant has been hit with privacy and transparency concerns this week following news that it allowed political data analytics firm Cambridge Analytica to harvest the data of more than 50 million users without proper disclosures or permissions. CEO Mark Zuckerberg said in an interview on CNN on Wednesday night that he was open to regulation in light of the most recent data breach scandal. Tech companies such as Facebook, Action Alerts Plus holding Alphabet Inc.'s (GOOGL - Get Report) Google and Twitter Inc. (TWTR - Get Report) have operated without any supervision from the Federal Trade Commission or any similar regulatory bodies for years, noted Jonathan Taplin, the director emeritus of the Annenberg Innovation Lab at the University of Southern California. By contrast, the European Union has far stricter protections on user data. Facebook could be expected to add similar restrictions for American users, Taplin said, potentially limiting advertisers' ability to target users based on their data and behavior. Advertising on Facebook would then be more like advertising on TV, where companies would know users' general demographic but little else, Taplin said.